Iron Maiden Retort - Charcoal Gasification - Drive On Wood! 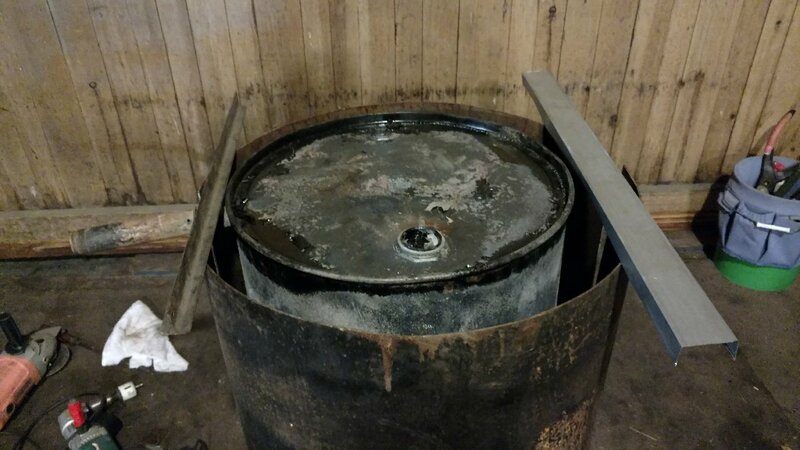 My 275 gallon oil tank sprung a leak so I cut it to remove it from the cellar. 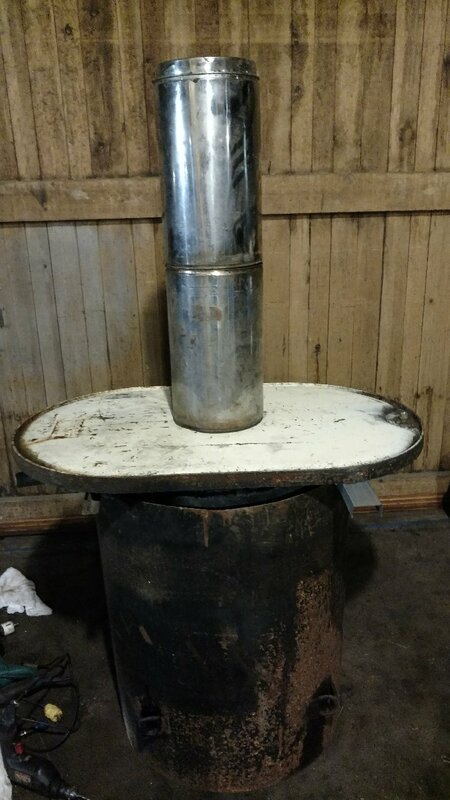 I decided to cut it up to make an iron maiden surrounding stove for 55 gallon drums retorts. I cut the ends off to make the surround. Notice 1 1/4" moisture vent. This 1 1/4 pipe makes a 90 degree turn down and out the bottom. This is why I call it the iron maiden. 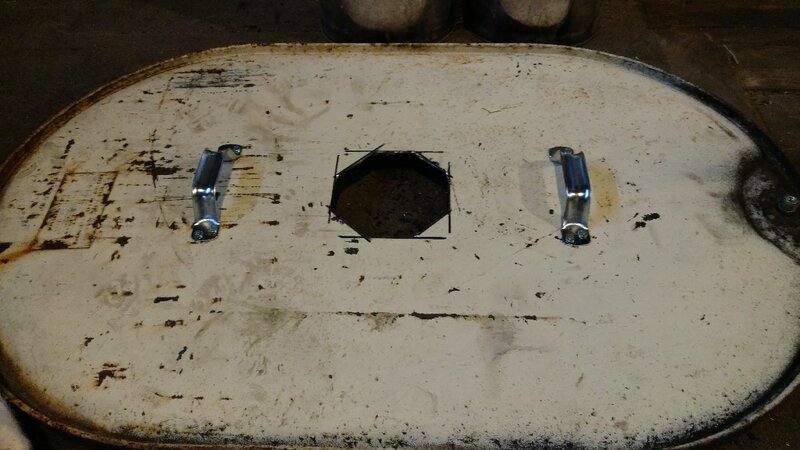 Two hinged halves. 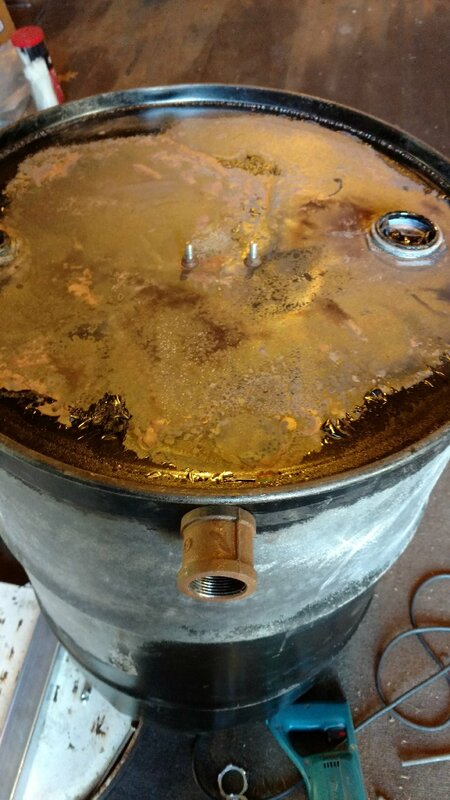 This makes it easy to invert the full 55 gallon drum and put it inside and close the maiden halves around the drum. 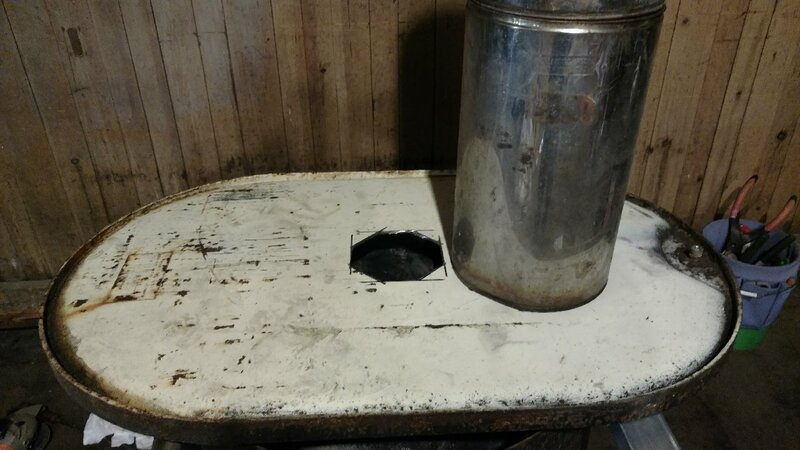 The tank end serves as the lid. 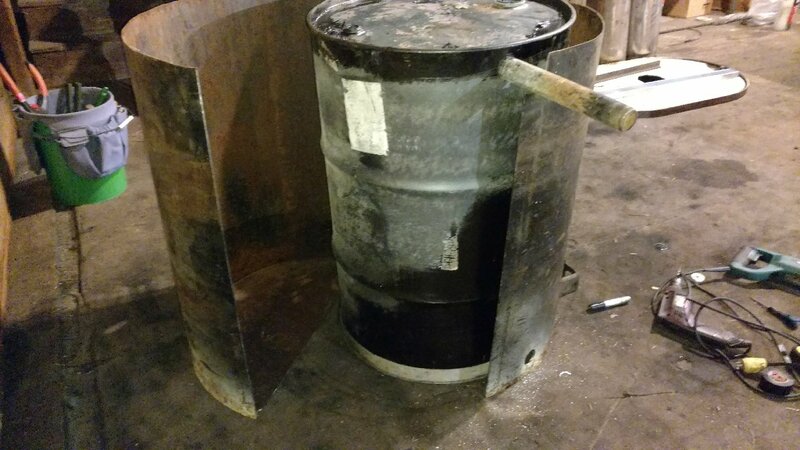 The cut off drum end serves as the removable bottom of the retort. 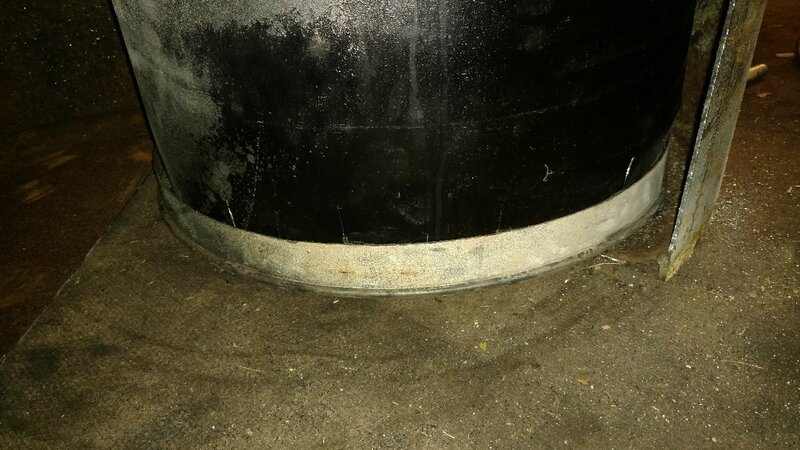 The bottom is held on with a pin through the 1 1/4" pipe that sends the gases down and out the bottom. 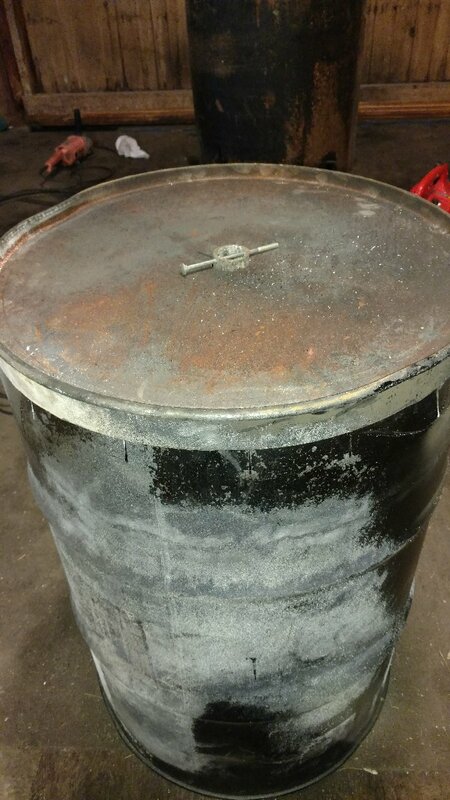 The idea is to fill the drum with dry wood for charcoal, put on the lid, invert, place inside the iron maiden and fill space with kindling. 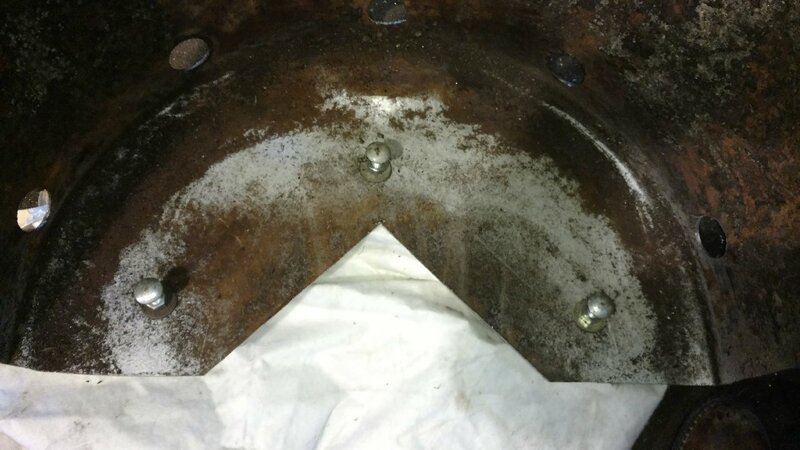 Set lid on spacers for secondary combustion air. 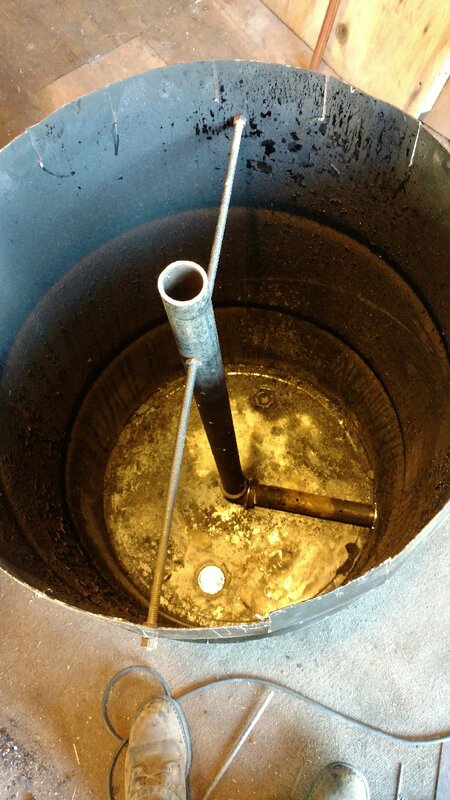 Vent moisture out top pipe until gas will burn then cap the vent forcing gases down and out the bottom to self-sustain the fire and pyrolyze the feed stock inside the barrel/drum. Koen likes the design it must be extra good qualitys. Looking good so far, should last good, now you could put a shelf on top the cookers too help dry some damp wood. It looks sweet! How does it work? I’m still building. I took these pics last night. Several details to work out. I will report when I light her up. U-bolt holds the elbow in place. 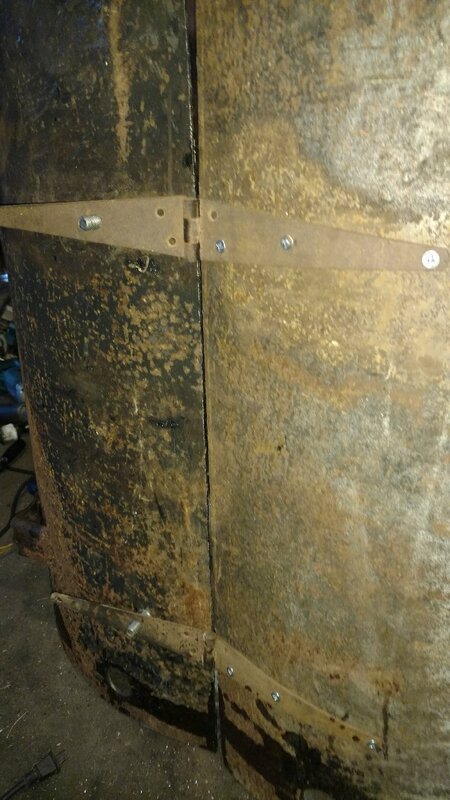 I cut an opening in bottom so I can heat from below with a fire pit. Notice support bolts to give fire pit flames a pathway. 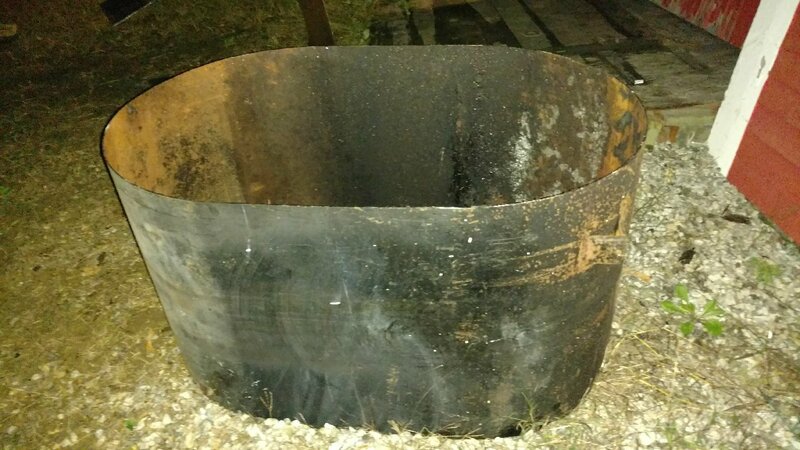 If you are going to put a firepit under it, I would look at the video gary tait posted in making charcoal without smoke #242. They made a platform that fit both so they could put a fire under it. you could do it with a pit as well. 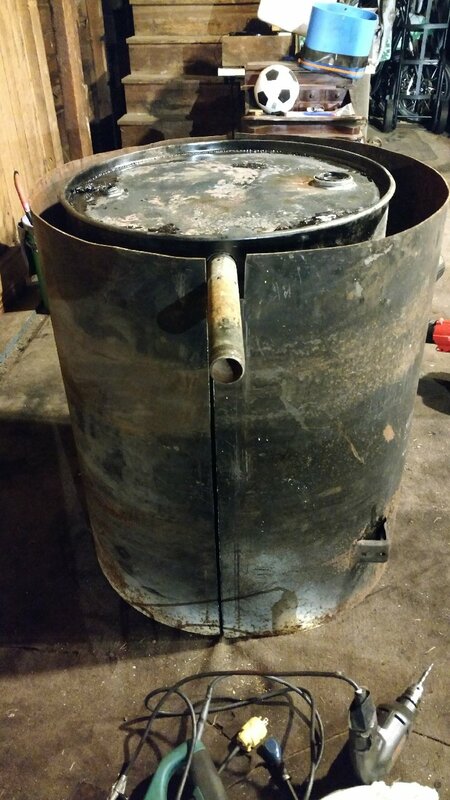 I’m trying to 1) use cheap 55 gallon drums, 2) take advantage of a bottom lid to keep the finished char from burning up, 3) eliminate insulation , and 4) avoid heavy lifting. My wife, who is somewhat annoyed that I now have 5 charcoal retorts in our back yard, approves of the iron maiden because the sides can be nested for easier storage and portability.